Quick Tip: Still using ipconfig? Use gip instead! Since you more or less are never using cmd.exe any longer, why not go away from other classic toolsets you’ve been using forever? This entry was posted in Windows Client, Windows Server and tagged Get-NetIpconfiguration, gip, ipconfig powershell on January 26, 2014 by Johan Dahlbom. This blog post was written for older versions of Office 365 and Azure AD, and has not been tested in the latest version. Always make sure that you have a valid backup before making any changes to your system. In a migration scenario you might need to replace the Active Directory domain used to sync your users to Office 365. I will go through the steps you need to change AD domain. In this scenario I assume that ADFS is not used. If it is, you first have to disable federation. I suggest looking at my previous post where I described how to switch from ADFS to Password Sync. Install DirSync in the new domain. First, disabling DirSync is very easy. Just go to the Office 365 admin center and click the Deativate link under users and groups. This will take up to 72 hours. When this process is over all user accounts are managed in the Office 365 portal, and there is no connection to your old domain. This change will not cause any service interruption, all users will be able to use their services as normal. In the meantime you can uninstall the Azure Active Directory Sync tool on the old DirSync server. UserPrincipalName is your login name to Office 365. I don’t think I have to explain why this attribute is important 🙂 . ProxyAddresses are all your email addresses, both primary and alias. The last attribute, legacyExchangeDN, is used if you previously have migrated from an Exchange on-premises to Office 365. It is used for internal addressing in Exchange. If it is removed you will not be able to reply to old emails, meeting invitations, and your Suggested Contacts will also fail. I will not go through here how to migrate these attributes here, check out our post on how to sync attributes from cloud identities to active directory. The third step is where the magic happens. Office 365 uses the ObjectGUID attribute to keep track of the user accounts in in your on-premises Active Directory. It is translated to an ImmutableID in Azure Active Directory. If you rename your users, the ObjectGUID is untouched. Hence the name ImmutableID. The problem is that when you move to a new domain, all ObjectGUIDs are changed, and we need to generate a new ImmutableID. Set-MsolUser -UserPrincipalName "aaron.beverly@365lab.net" -ImmutableId "$null"
The next step is to activate DirSync in the Office 365 portal again, and then reinstall the Azure Active Directory Sync tool on a server in the new domain. I strongly recommend using a new server for this step. Re-using the old server (after joining it to the new domain) might break your sync. After the installation a full sync is done. The Sync tool will identify and match the users in Office 365 and Active Directory by the primary email address. If a match is found a new ImmutableID is created and written to Azure Active Directory. Finally, after the initial sync is done we can look in Synchronization Service Manager to check that all users were matched and that we don’t have any sync errors. This entry was posted in Office 365 and tagged dirsync, Exchange Online, Office 365 federation, proxyaddresses, userprincipalname on January 26, 2014 by Andreas Lindahl. In this case, I wanted a quick analysis on my Hyper-V VM’s vhd files and get the disk size and free disk space before upgrading to Server 2012 R2 Hyper-V. The snippet basically loops trough all VM’s on a host (or in a cluster if you would want that), and gives you output as below. 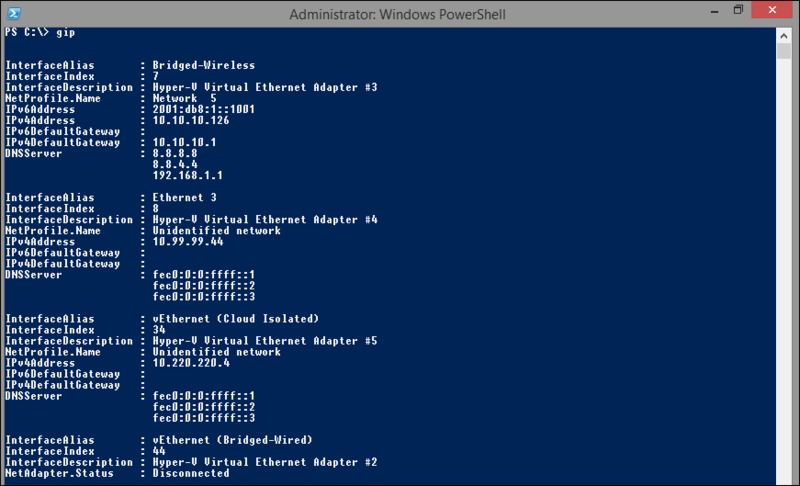 If you want information on all disks for all VM’s in a cluster you can get that with Get-VHDStat -Cluster ClusterName. 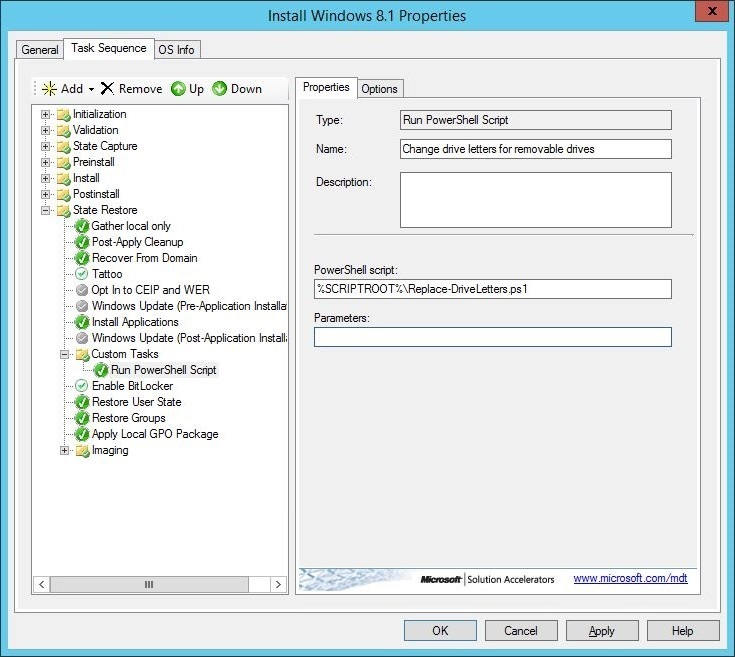 This entry was posted in Windows Server and tagged DiskSpace, Get-VHD, Hyper-V, powershell, VHD, VHDx on January 11, 2014 by Johan Dahlbom. Recently I had an interesting job at a customer, who used a web application with an address book. The web application used LDAP queries to Active Directory to get all users addresses and phone numbers. This information was then searchable on a public web site located in DMZ. The problem here is that we had an internet facing server. We could not allow it to make queries directly to the internal Active Directory. We decided to install a new AD LDS (Lightweight Directory Services) partition in the DMZ where we could ask our queries. Next problem: We have to populate our new LDS partition with users. Normally this would be done with a system designed for it, like Forefront Identity Manager. Here we needed a quick-and-dirty solution to get started, and I therefore wrote a PowerShell script that copied the attributes we needed from our Active Directory. One of the first things to solve was to find who and what to sync. With ten thousands of users in Active Directory we needed a solution to select users, even though they were spread across several OUs. Also, Swedish laws regulate what information to publish, so we had to filter sensitive information. We ended up with a solution where only users in a specific OU were synced, but they also needed to be member of a specific group. We also filtered disabled users. We now have too much data. Our sync will be too slow, so we need to filter again. There is no need to process accounts that haven’t been changed recently. We simply checked the Modified attribute in active directory and skipped these. We also needed a method to detect deleted accounts. Here we simply got all users in AD LDS and compared it with the users in AD DS. Any extra users were removed. Below is the entire script, but as I wrote, it is a quick-and-dirty solution just to get started. Write-Host "$($ADUsers.Count) user(s) found in Active Directory." 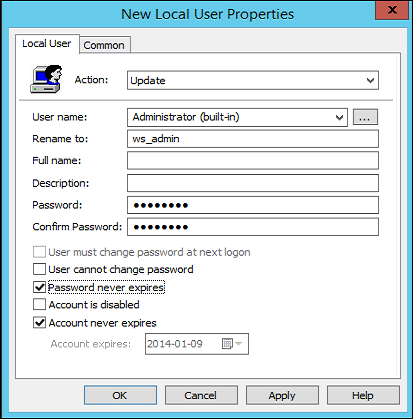 Write-Host "Searching for users to delete..."
This entry was posted in Active Directory, PowerShell and tagged ad lds, adam, fim, ldap, user sync on January 10, 2014 by Andreas Lindahl. Have you ever wondered why the newly installed disk gets a drive letter in the middle of the alphabet even though E: is free? Why that network drive refuses to connect with the drive letter you want? The reason is most probably that the drive letter you want has been reserved for removable drives even though no media is inserted. This has been an problem for some time now since many computers are shipped with built-in multimedia card readers. In the above example, if you for example try to map a network drive as F: it will fail because it is already reserved by a SD card reader, even when no card is inserted. The solution: change the drive letters to something that you know will never conflict. Here’s a PowerShell script that automatically reassigns drive letters on removable drives to a predefined set of “approved” drive letters. The script uses the standard mountvol tool, so it also works in older Windows versions. $RemovableDrives = Get-WmiObject -Class Win32_Volume -Filter "DriveType=2"
In an Enterprise Environment this is easy to implement in for example Microsoft Deployment Toolkit. That way your clients will never fail mapping network drives. 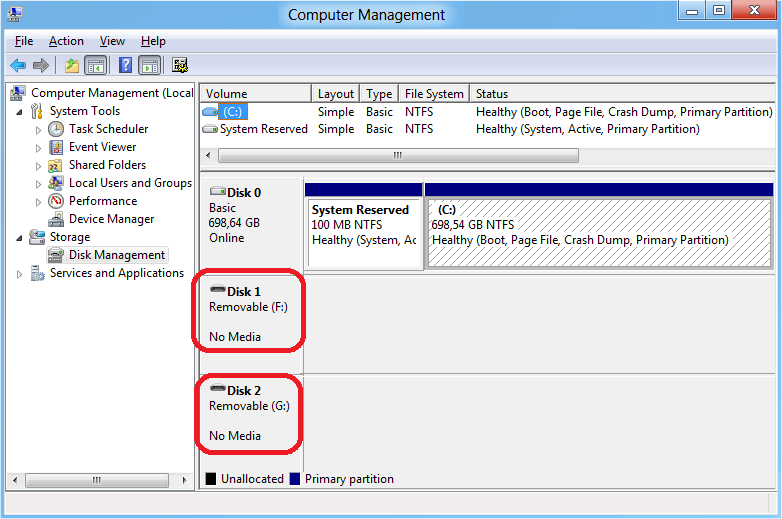 This entry was posted in Windows Client and tagged drive letters, removable drive, wmi on January 9, 2014 by Andreas Lindahl.